Candex provides a potent blend of plant based, fiber digesting enzymes that address the effects of excess carbohydrates, medication, and stress thought to contribute to intestinal imbalance. Candex™ has been the first choice of both consumers and health practitioners for over 15 years for one simple reason. It works. But, it doesn’t just work. It works fast. You’ll begin feeling better in 10 days or less. 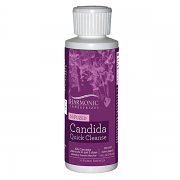 And, you’ll have none of the Candida die off caused by other products. † Why is it so expensive? Because its enzymes cost 10 to 50 times more than the herbs found in other products. Occasionally, the amazing job our bodies do to bring harmony among the many co-existing microorganisms essential for our health becomes imbalanced. Oftentimes that imbalance begins in the gut and can then lead to other imbalances throughout the body. Through the years health practitioners of both traditional and modern medicine have understood the importance of intestinal health in relation to whole body health. More recently, science and other research suggests that different types of enzymes can help our bodies to bring balance back. These enzymes can support the increase of good bacteria that may have diminished as a result of excess consumption of sugars, carbohydrates and other factors. 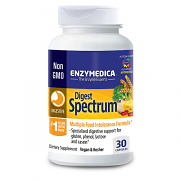 The most potent blend of plant-based, fiber-digesting enzymes available. The suggested dosage is two capsules of Candex in the morning, an hour before breakfast, and two at bedtime, at least two hours after eating (always use with eight ounces of water) normally produce profound improvement in 7 to 30 days. The time needed for maximum benefit depends on individual factors such as current state of intestinal health, gut maintenance or balance goals, whether you're taking probiotics, and other factors such as stress which may also impact gut health. When you’re feeling as well as you think you should, cut back from four capsules per day to three for a week. Then, take two per day for another week. Finally reduce to one a day. If, at any time you notice any signs of regression as you cut back, resume four per day for another month, and then try cutting back again. While many people completely stop using Candex™, others need one or two capsules per day for maintenance. When you have attained maximum benefit, you will be able to use one capsule per day without regressing. If consumption of sugar, antibiotics, birth control pills, chlorinated water or stress increase after reducing the dose, you mind find increasing the dose of Candex for a time helps you to bring balance back sooner. Should I Use Probiotics With Candex™? We strongly encourage using a high quality probiotic supplement with Candex™, such as iFlora, Probiotic 10/50 by Vitalzym, and ProBio. Since there are many brands of both high and low quality probiotics on the market, it's important to let your health care practitioner or retailer guide you to a brand he or she trusts. A combination of lactobacilli acidophilus, helveticus, lactis andsalivarius, along with bifidobacterium bifidum and streptococcus thermophilus is ideal for those with candida. Candex is safe for everyone. For children, one may be used daily for each 40 pounds of body weight. For ages 14 and up, adult recommendations may be followed. Pure Essence Labs was founded to offer high quality, safe and effective dietary supplement formulas to benefit human health, while demonstrating a firm commitment to planetary ecology. Pure Essence Labs strives to promote both holistic health and a holistic lifestyle. They create their formulas using an ideal balance of East-meets-West traditions and practices to work in synergy to support all body systems. Always use between meals with at least 8 oz of water. For maintenance, once capsule at bedtime. CHILDREN: One-half capsule, twice daily. Ingredients: Amylase (vegetarian), Cellulase (vegetarian), Glucoamylase (vegetarian), Hemicellulase (vegetarian), Invertase, l-leucine, microcrystalline cellulose. Other Ingredients: microcrystalline cellulose, l-leucine, pullulan (vegetable capsule). Caution: This product contains enzymes. If you experience abdominal discomfort including bloating, gas, indigestion, cramps, and irregularity, discontinue use immediatly. Please keep all supplements out of children's reach.